Is your bottom line even tighter? 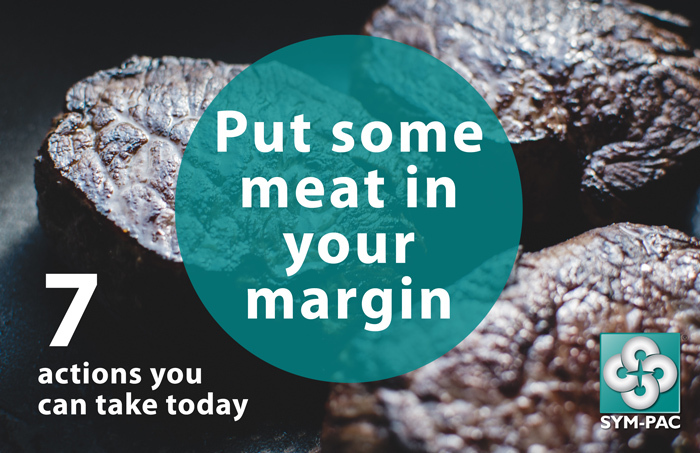 If your sales growth has stalled, think about growing your margin! Here are 7 simple actions you can take today to make a difference. Do you give your debtors a discount at POS? If so — do you have the room in your margin to actually cover the discount? Run a quick check on your product file with Table Magic. 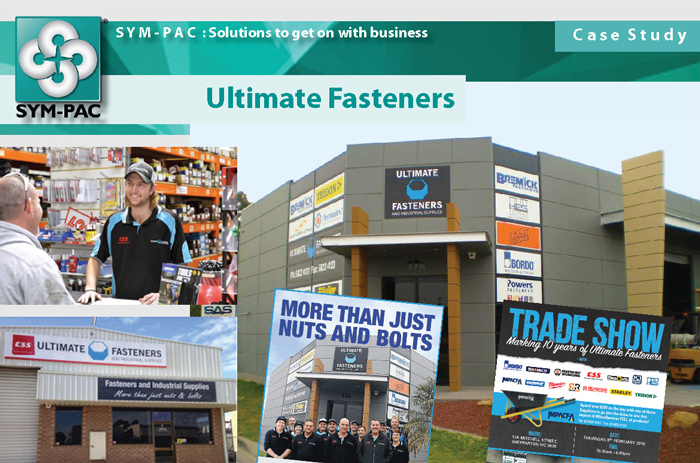 Look at your product file using Department, Description, GP% and Max Discount criteria. 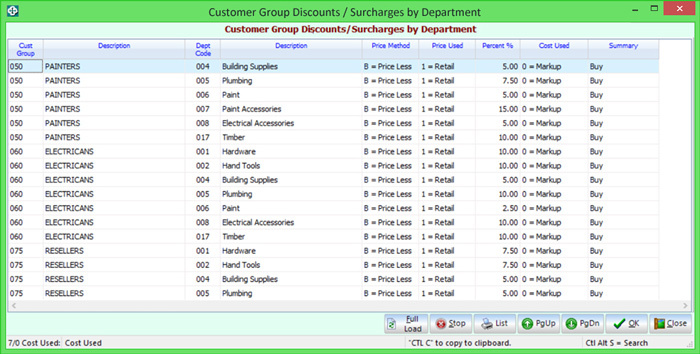 Now run your Debtor Group Discounts by Department and compare. Can you afford to give a 15% discount where you only have 12 – 16% mark-up on a product? 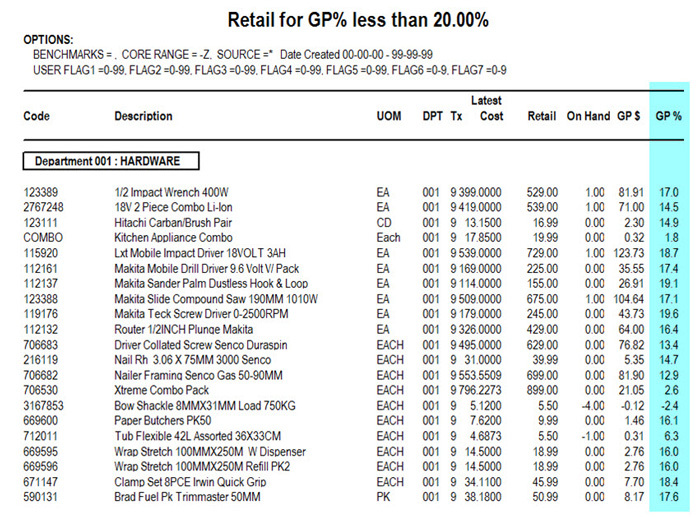 Run an Extended Price list on (for example) all products with a GP% of less than 20%. Set Max Discounts for these products so that you’re not selling them at a loss. Think about restricting the amount of discount that staff can give at the counter. For example, you might decide that casual POS staff are only allowed to give a maximum discount of 5% — with any higher discount requiring authorisation from a supervisor. Most customers are happy to get some kind of discount, if the situation is applicable. Your valued account and trade customers will probably be on some kind of discount structure already, meaning that any sales on their account will already factor in the maximum discount allowed under the terms agreed. Who decides which customers are your most profitable and should be looked after? Who has analysed your discount standards based on customer volume, loyalty and profit? Have you run a Customer Sales MTD / YTD report lately? Is it up to the POS staff member to figure this out — or is it already set in your system? 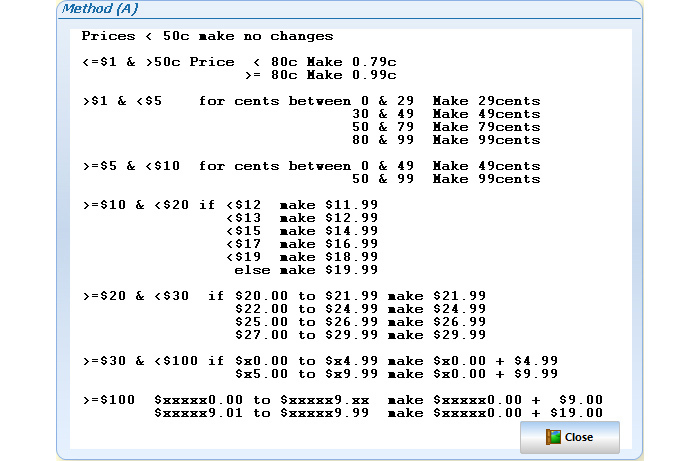 Margin Magic — one of our optional add-on modules — allows you to perform complex margin “what if” scenarios very easily. For example, review all your products with margins of between 0.01 and 10.00% — and automatically increase these by 5%. Margin Magic will provide you with an “IMPACT” result at the bottom of the screen. This shows clearly the increase in margin that could be achieved if you make this change — before you actually make the decision. You can sort by a huge variety of criteria to analyse your products in detail, giving you the power to examine closely what’s going on with pricing in your store. 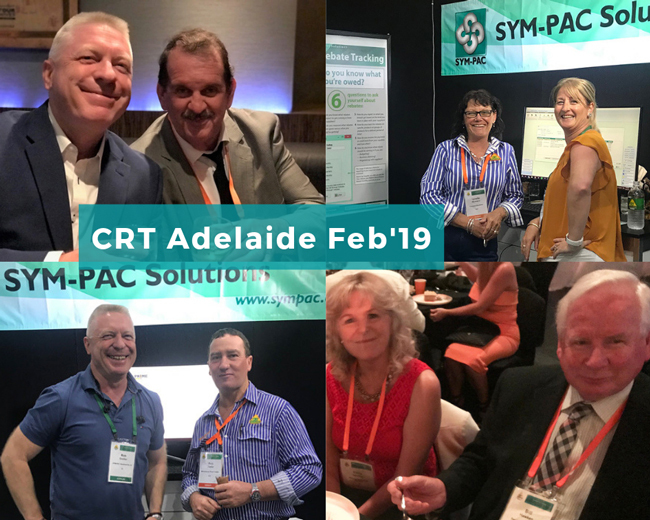 For more information on SYM-PAC’s Margin Magic, READ MORE HERE. 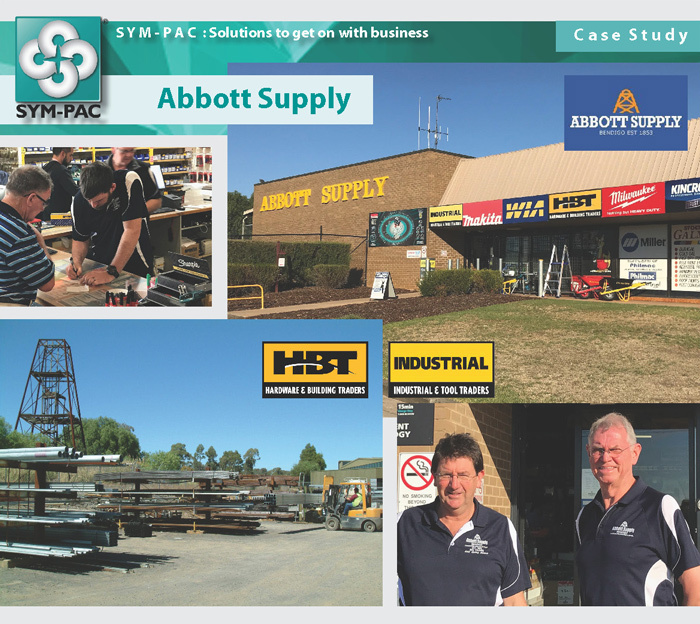 Run the Top Products Report in SYM-PAC to have a closer look at your best selling products. Does their popularity mean that you can get a little more for these? If a product sells for $2.25, why not $2.49? Or if a product sells for $9.50, why not $9.99? Small changes like these will add up. 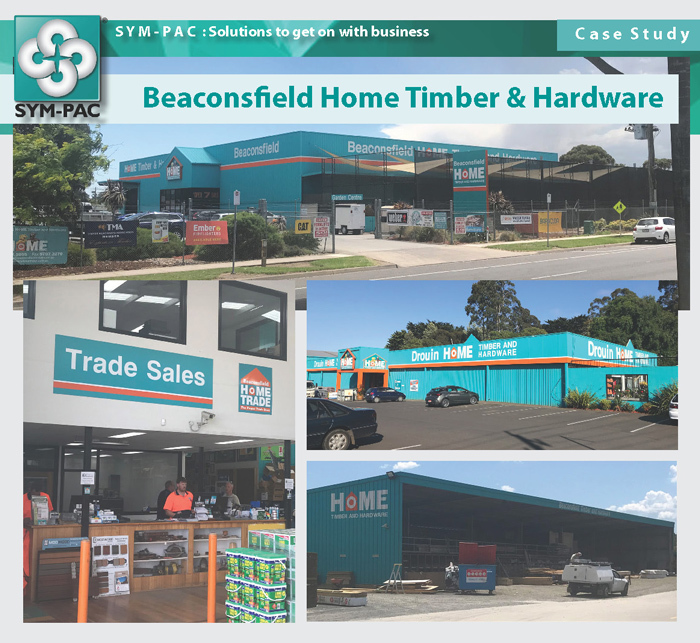 SYM-PAC’s Comparison Report is used to update your product file with the latest product data from your buying group or from any Generic EPG’s that you may have built in your system as discussed in the next section of this document. 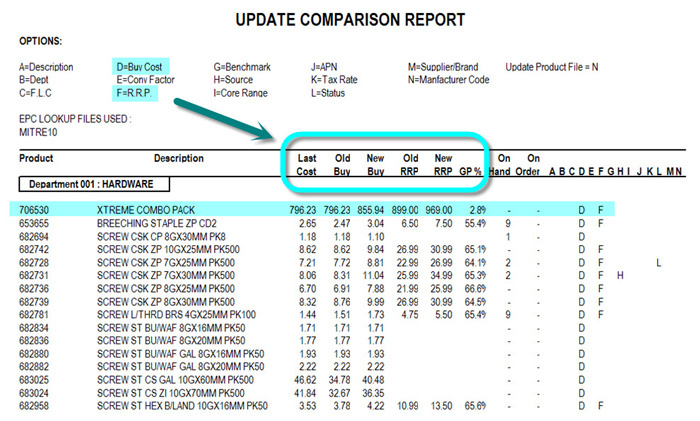 You should run the Comparison Report weekly to maintain your product information and pricing. You should chase your suppliers when you notice price changes and enforce policy to obtain the latest price lists and update your database. It’s a simple step to take — and yet failing to update your product file, even for a week or two, can cause the small pricing changes you are missing to add up. 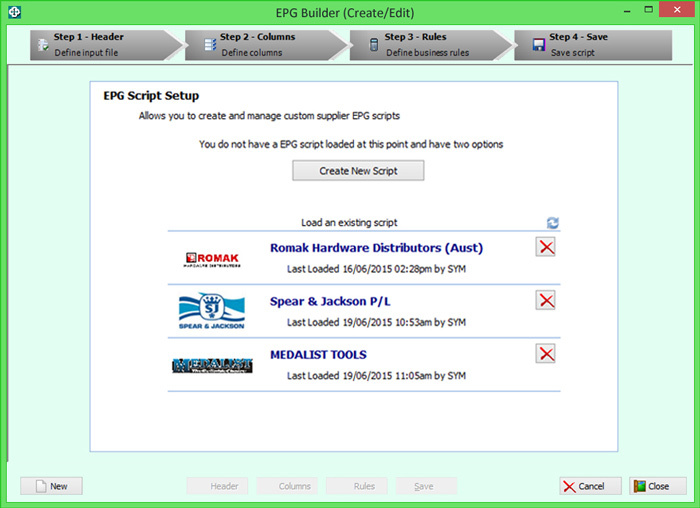 SYM-PAC’s EPG Builder lets you keep up to date with supplier pricing changes from any supplier, not just from your buying group. Wherever you purchase from key suppliers outside of your buying group arrangements, you must track price changes regularly. 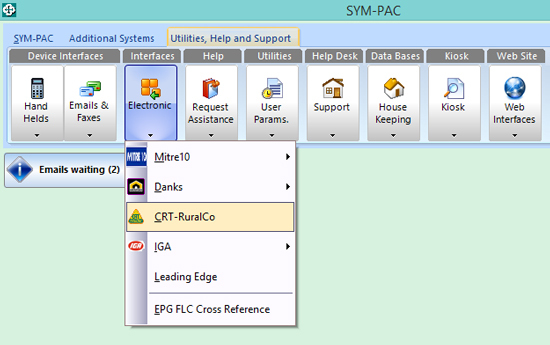 For more information on SYM-PAC’s EPG Builder, READ MORE HERE. Have you consider applying rounding routines systematically to your pricing? 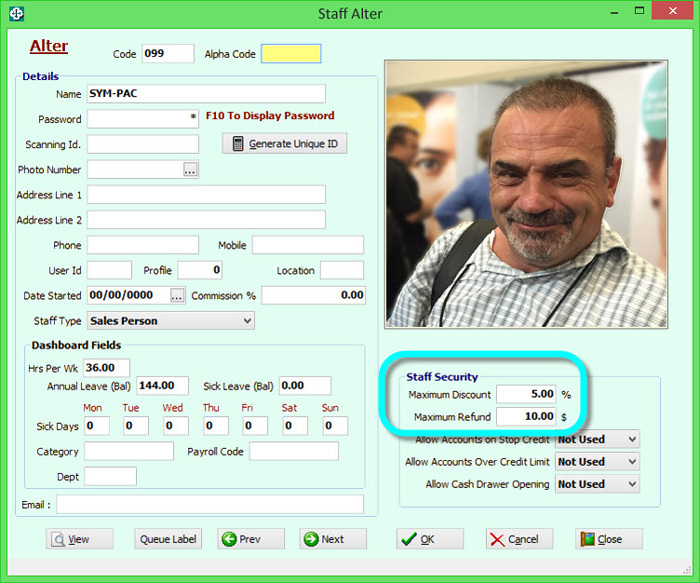 SYM-PAC has a number of rounding routines built into the system and ready for you to use. These rules are a result of extensive research and are designed to maximise profit without losing sales by rounding sell prices up to, but not exceeding sensitive price points. In some of the rounding routines available, certain product types are excluded — such as cubic metre products. You can explore the effect of any rounding routine in Table Magic, even if you don’t actually have that rounding routine turned on. If each of these 7 tips increased your margin by a quarter to a half of one percent, that has the potential to deliver 1.75 to 3.5 percent increase in your margins. Talk to us about implementing any of these simple steps if you haven’t already got them in place!